2015 is no exception as we hold our 12th edition of MMA and it is with great pleasure we now present to you the results of our labours over the last two months as 11 strictly amateur judges from our collective have tasted, nosed, sampled and re-sampled all the entries and submitted their final scores. Just as in 2014 there is a Supreme Champion award to highlight the whisky with the highest overall score, the Winner of Winners. Historically this always was the Supreme Winner of the the Ultra Premium category so a further highlighting was not really needed. But once again things are different this year. 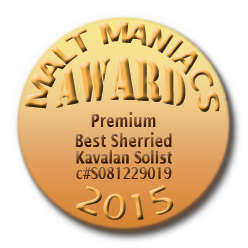 These two whiskies have exactly the same average score, so we think it is only fair to give the award to both. Postmaster General Keith Wood’s Report about the 2015 Awards, aptly named “The Gathering of the Drams”, can be downloaded as PDF . Bottlers wanting to use the graphics will can download them as a ZIP file.